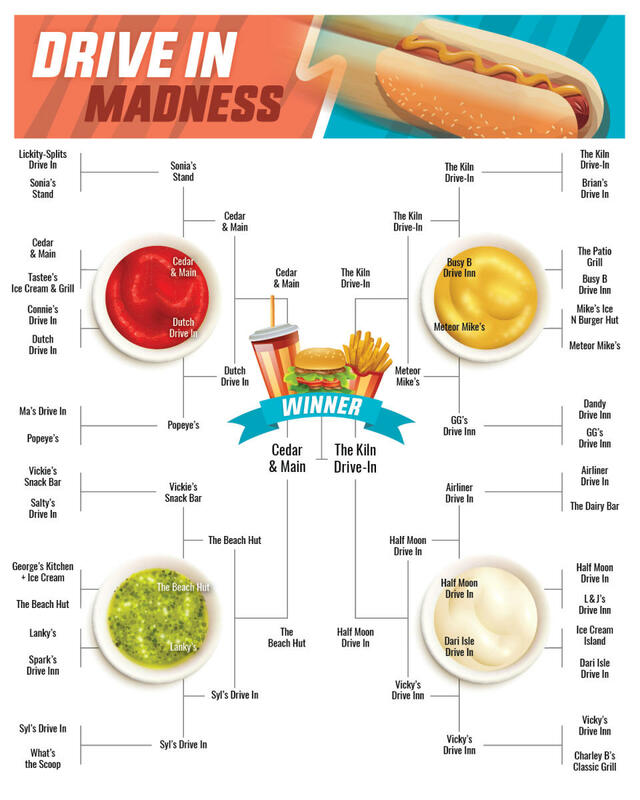 If any friendships were lost during last night&apos;s intense voting battle, a visit to one of these CHAMPIONSHIP ROUND drive ins may be just the ticket on the path to forgiving and forgetting. We now must say goodbye to the wildly popular Half Moon Drive In and to the incredibly resilient Beach Hut. Farewell, friends. Let&apos;s take a closer look at our final contestants. Located in Stonewall, The Kiln Drive-In is a town institution - one of those places you can bet has employed much of the town&apos;s youth through the years - and that has served as a community meeting place every summer. Fans say that The Kiln Drive-In has THE BEST burgers and ice cream in the province. In previous years, The Kiln Drive-In has opened in the first 2 weeks of April, so keep an eye out for an open date and plan a trip ASAP! Located in Oakbank, Cedar & Main Eatery is a fairly new addition to the town, which makes it all the more amazing that they have already garnered a serious amount of loyal customers and fans! Which is not that surprising, when you consider Cedar & Main serves scrumptious handcrafted burgers with the freshest toppings. Fancy that, Cedar & Main opens TODAY for the season! Time to vote...you have until 11:59 TONIGHT (March 28)!! Hey! I'm Breanne, Content Specialist for Travel Manitoba. I work with the content team to come up with wacky ideas for our blog and social media platforms. My next pitch? Top 10 Spots to Cuddle Cats in Manitoba. You can email me at bsewards@travelmanitoba.com.